Bloomz experienced a day full of washing, scrubbing, squeezing and cleaning dirty clothes, toys, and utensils. 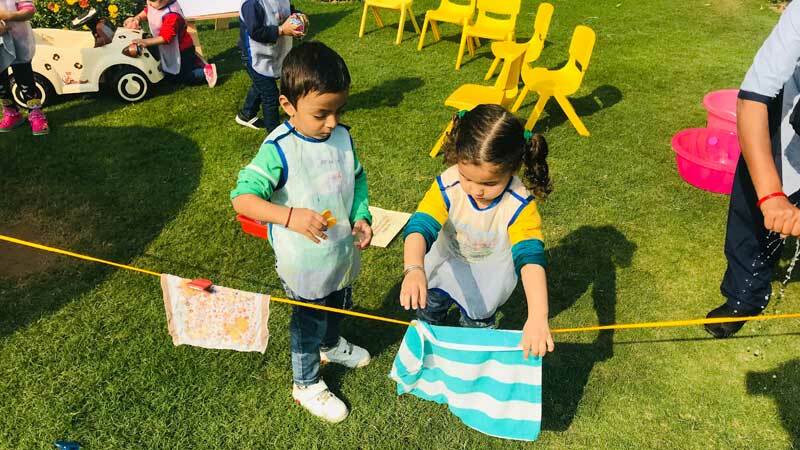 Through this hands-on activity, the children were able to learn the reason as to why cleaning is important and how to keep their belongings as well as household belongings clean by washing and drying them. 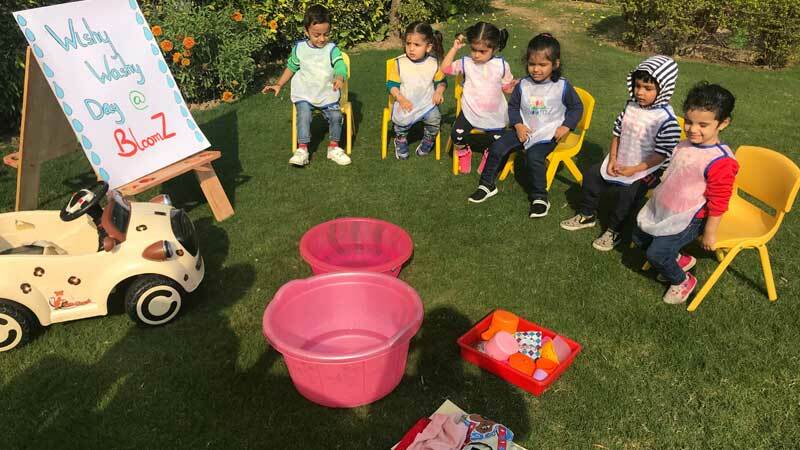 The activity enhanced their vocabulary with words such as wash, squeeze, scrub, clean, dry, wet, hang, etc. The day culminated with big smiles on their faces and a willingness to explore more.